One of the hottest launches from this year’s Photokina trade show, the Nikon D750, has grabbed the attention of serious amateurs and pros alike. Boasting a newly developed 24.3Mp sensor, expanded ISO sensitivity range and a host of features from their pro DSLRs it looks a mouth-watering prospect. Lets take a look at the D750 sensor scores and results to see how it stacks up against the full frame competition. Nikon D4s sensor review: Master of Darkness? Nikon’s mid-term revision to their flagship full-frame D4 series camera includes an updated 16-Mpix CMOS sensor and the new Expeed 4 processor amongst a raft of other, mostly subtle refinements. Read on to find out how the new top-of-the-range model performs. Nikon’s retro styled Df harks back to the days film externally, but the metal shell with its plethora of dials and buttons conceals a state-of-the-art 16-Mpix CMOS sensor intended for the worst imaginable lighting conditions. Read on to find out how this new addition to the range performs. 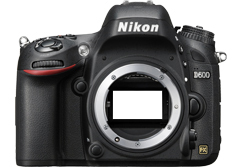 Nikon D610 review: What's new? In less than a year the Nikon D610 replaces the hugely popular full frame 24mpix D600 and features a new, improved shutter mechanism and some minor improvements to the auto white balance system. Although the firm didn't announce any improvements to the sensor and imaging pipeline, we were intrigued enough to put it through our labs to find out. Following the separate assessment of the modified sensor in Sony’s special edition RX1R high-end full-frame compact we’ve now analyzed its fixed focal length Carl Zeiss Sonnar 2,0/35 lens. Sony claim this new model has improved resolution and image sharpness but just how well does this fine-tuned combination perform? Following on from the unexpected buzz surrounding the original RX1 full-frame compact from Sony with its fixed focal length Zeiss 35mm f/2 lens, the firm has now introduced a follow up with a modified sensor and image processing engine. Read on to find outhow well the new RX1R performs in our labs.